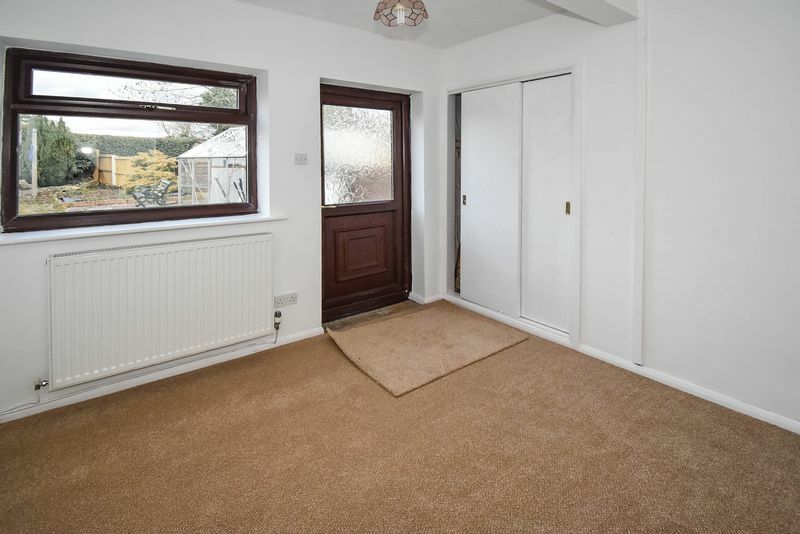 Briefly the property comprises: entrance hall; lounge; kitchen; pantry store; inner hall; bathroom; two double bedrooms; recessed built in wardrobe; attached brick built garage; driveway; front and rear gardens; PVC double glazing; gas central heating. 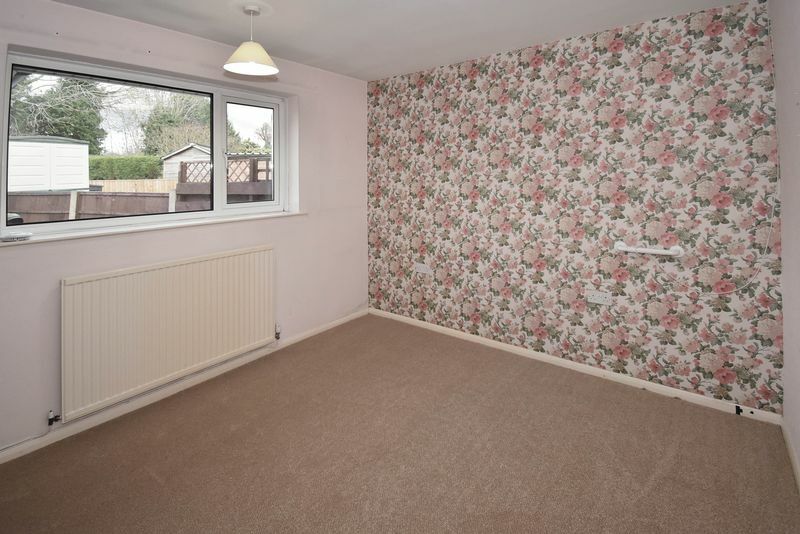 An extended and much improved semi detached bungalow that gives you more. 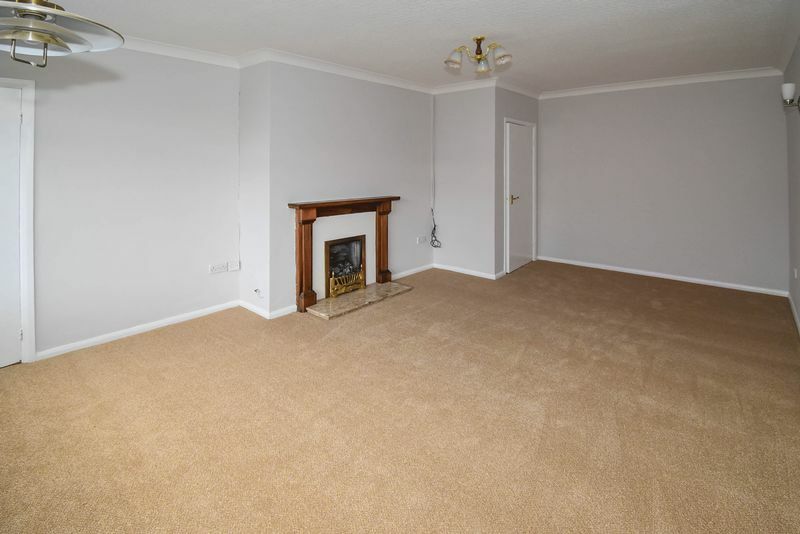 This well prepared home benefits from some replastering and internal decoration along with newly installed carpets. 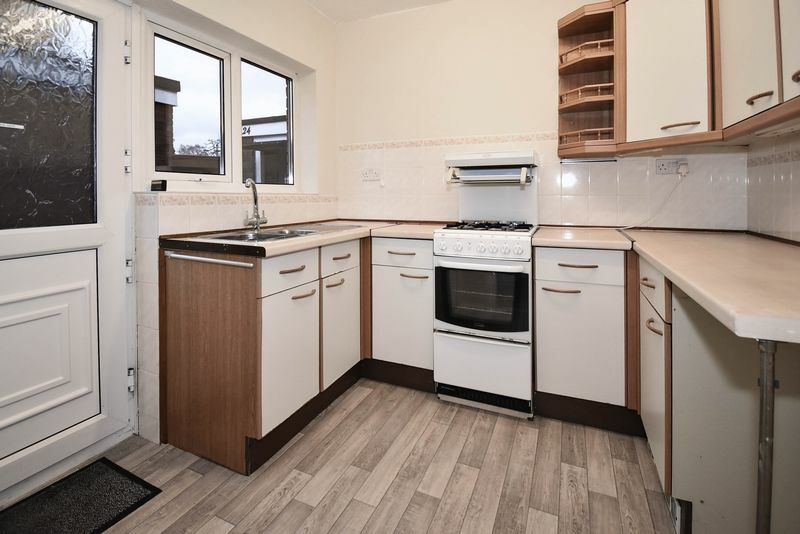 You can move straight in and upgrade the kitchen and bathroom at your own pace, putting your own stamp on the property and making it your own. The home benefits from a good looking rear extension with gable and pitched tiled roof. 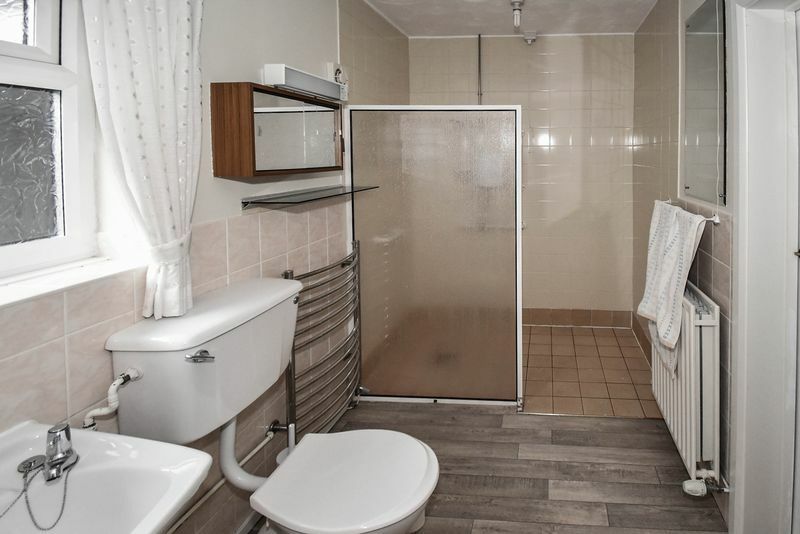 The extension has made the bathroom much wider and increased the second bedroom size to a double and features a recessed built in wardrobe, helping maximise the floor area of that room. 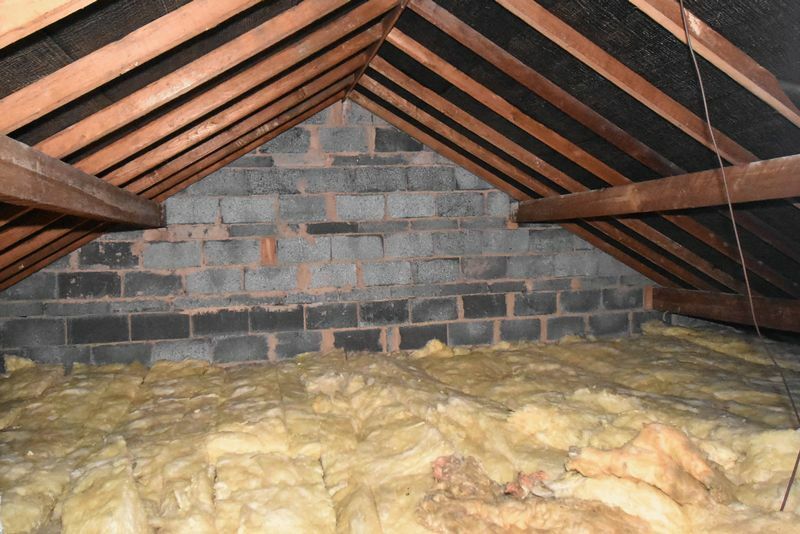 You can choose to modernise the existing layout as it is or a few alterations could be made at a reasonably low cost which may appeal to you. 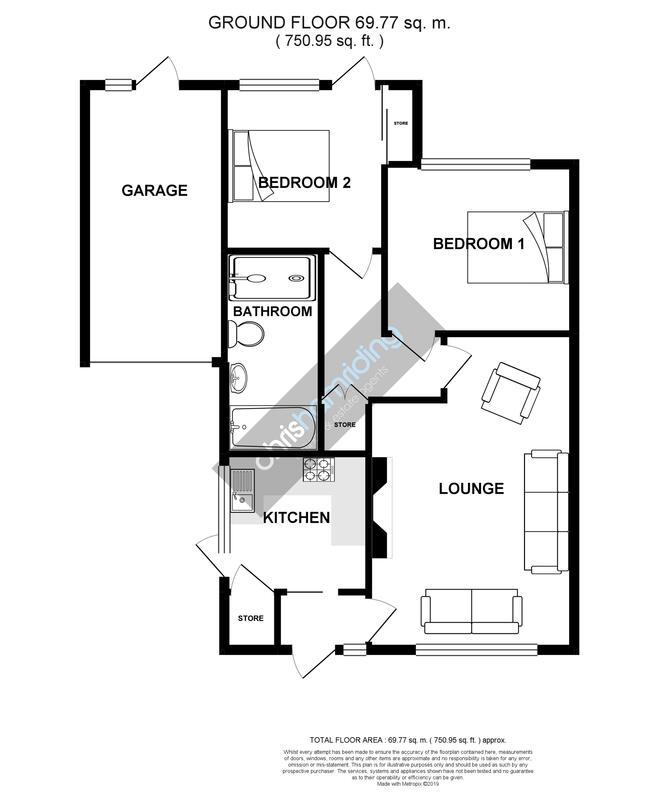 There is a large lounge and a kitchen, positioned at the front of the home. The kitchen size could be increased to around 14 ft in length by incorporating the entrance hall and pantry and part of the bathroom. Keeping in mind that the bathroom is much larger than the norm it wouldn't suffer as a result of this. Also the garage is brick built and attached. 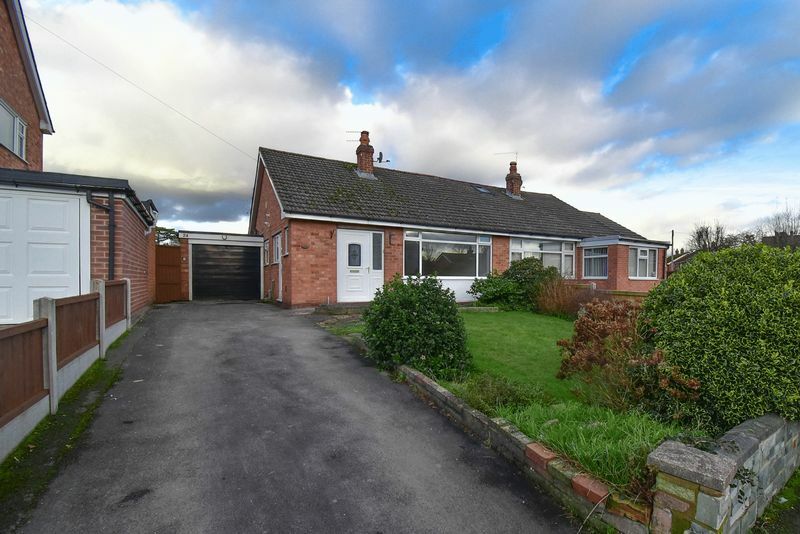 This feature should not be taken for granted, as many bungalow garages are kit form sectional detached garages and take up space standing in the rear garden. 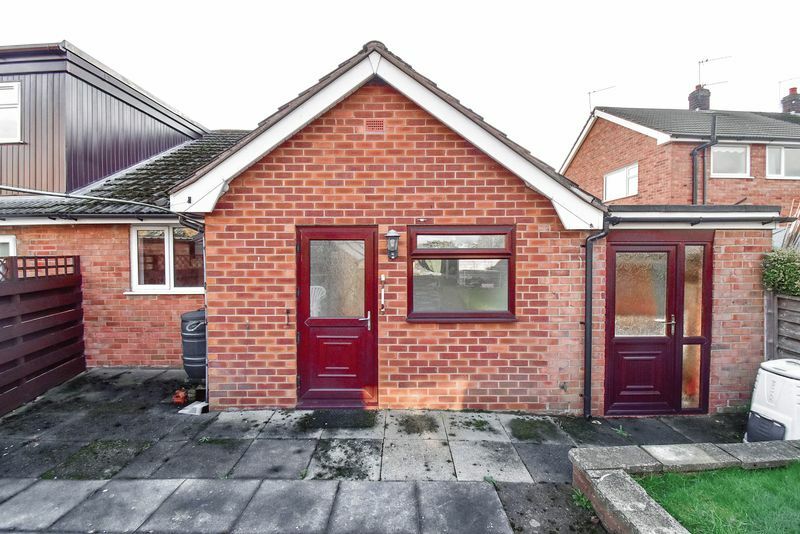 This garage is a useful facility in its own right, but its attachment to the home means that it could be converted should you so desire. 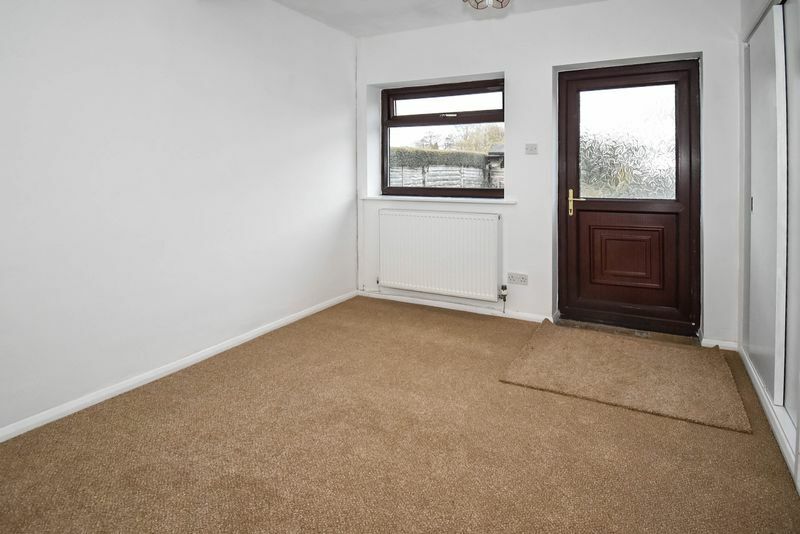 The property is situated in a pleasant and popular residential area of West Heath in Congleton. 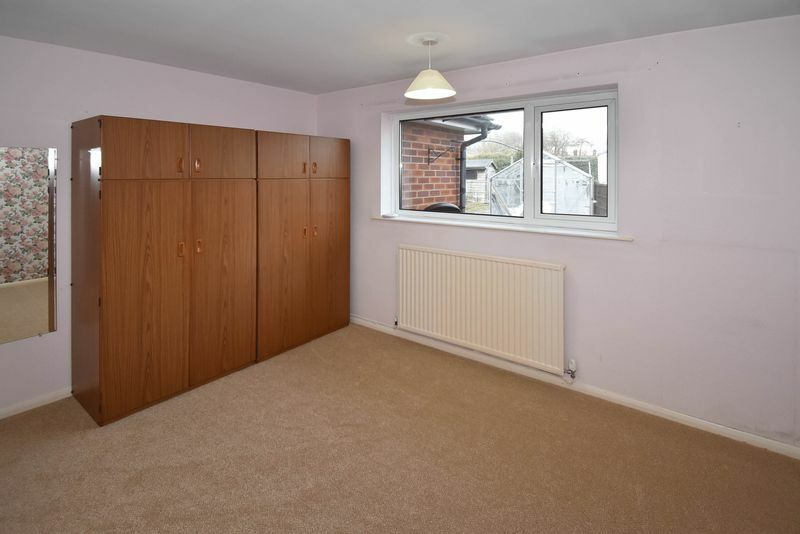 The location is very popular due to the excellent local schools and the quality local West Heath Shopping centre. 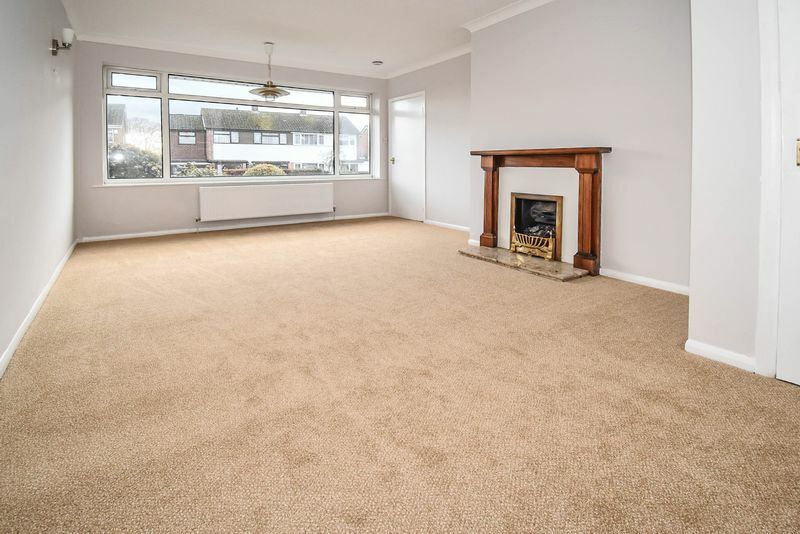 There are bus routes in the area and excellent road links in all major directions to include the A34 and M6 motorway. West Heath borders some lovely countryside and Astbury Mere Country Park is also close by. Congleton Town centre and Congleton Retail Park are just a short drive away. 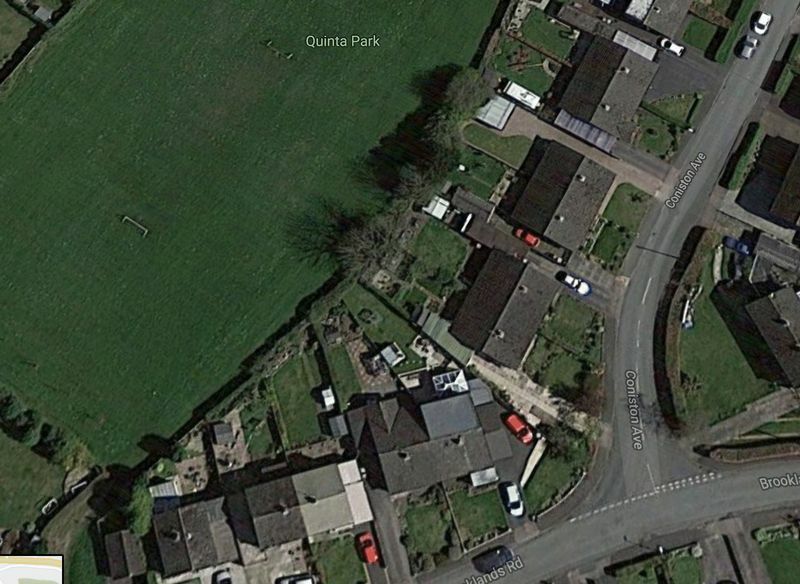 Its easy to see why the area is so sought after! Brooklands Road contains a mix of bungalows and two storey semi detached homes. The subject property fortuitously backs on to Quinta Park which enables superior levels of privacy. 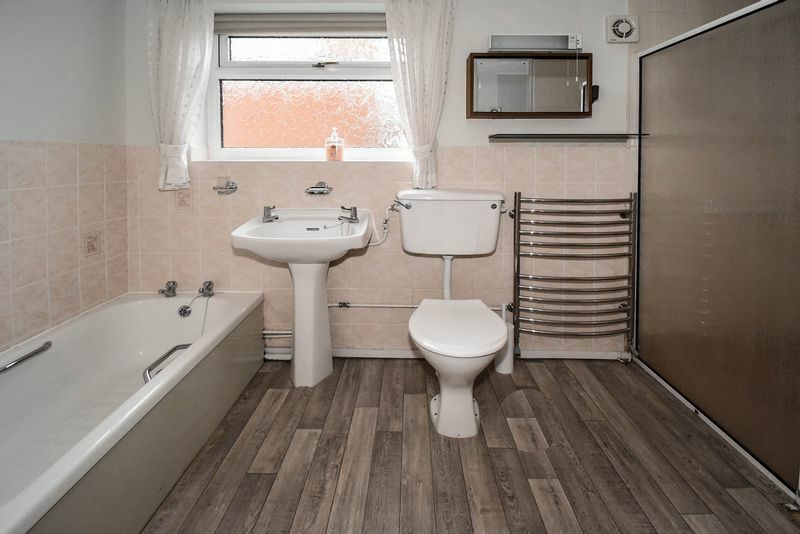 We think that this is a great way to acquire an extended bungalow which is perfectly liveable and well presented, yet where you can go a little further implementing your own kitchen and bathroom. At the end of the journey you will own a superior sized home, customised to your own specification and with the enjoyment of a quality area and the luxury of rear privacy within an estate environment. 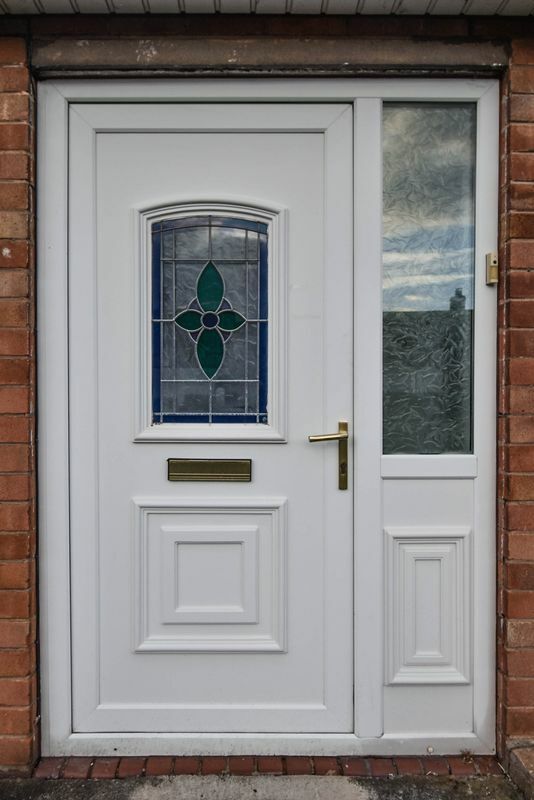 PVC double glazed external door with ornamental floral glazing inset. Access to the lounge and kitchen. PVC double glazed window to the front aspect. Feature living flame gas fire. Two wall light points. Central heating radiator. Access to the inner hall. Access to a deep recessed built in storage cupboard. 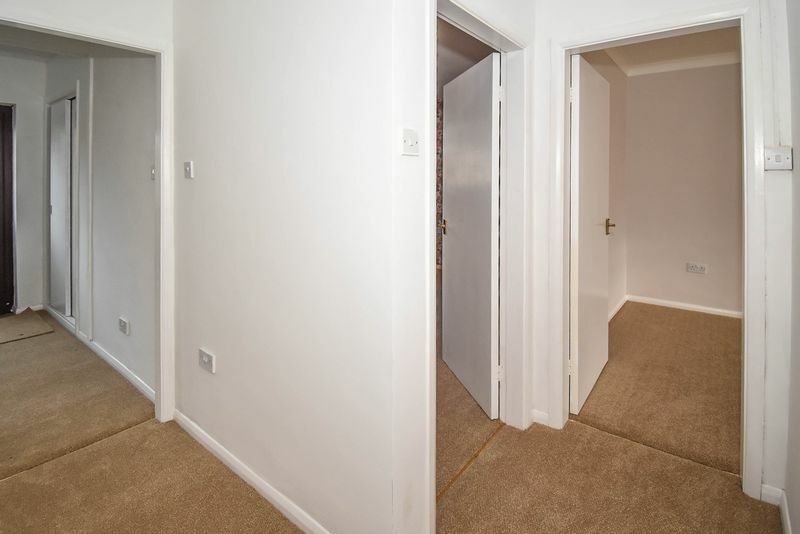 Access to the bathroom and bedrooms. PVC double glazed window to the rear. Central heating radiator. 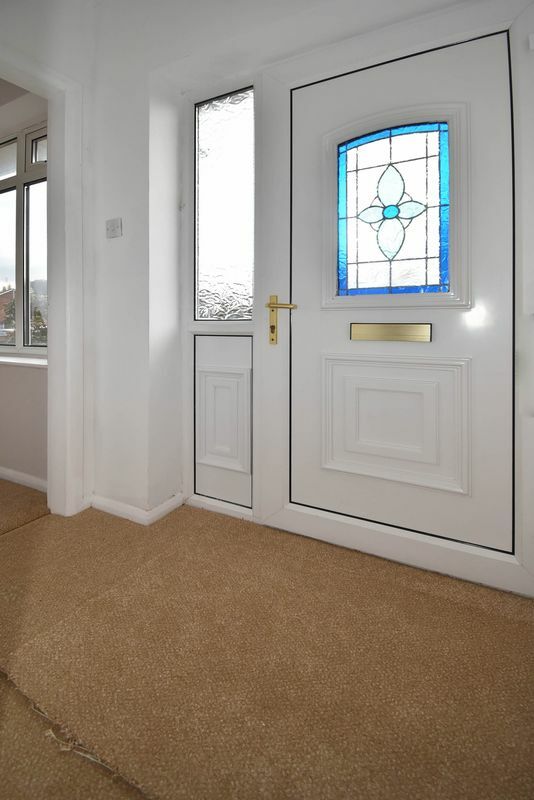 PVC double glazed window to the rear and PVC double glazed external door opening out to the rear garden. Recessed built in wardrobe. Central heating radiator. Garage door, rear PVC double glazed personnel door and PVC double glazed side panel window. 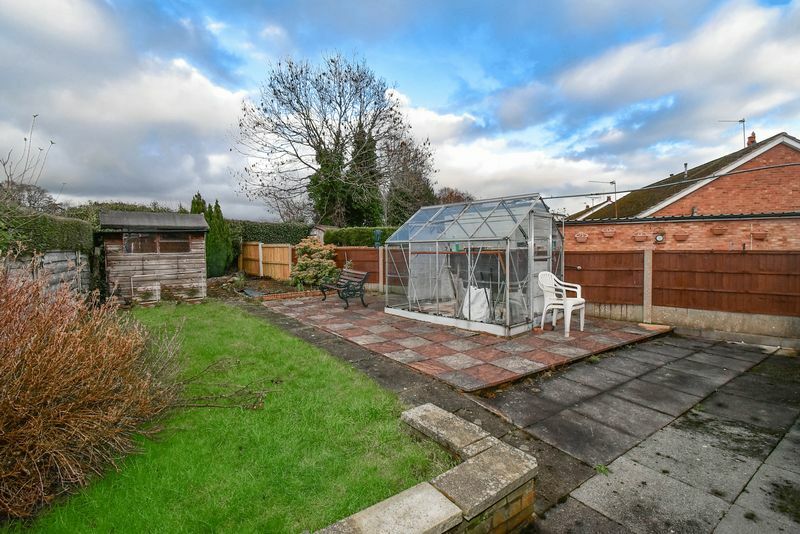 Attractive front and enclosed rear gardens comprising: front driveway; lawned sections; extensive rear dining terrace and space for a greenhouse; mature stocked borders.